X-linked adrenoleukodystrophy (X-ALD) is a genetic disorder that damages the nervous system and is associated with the accumulation of saturated very long chain fatty acids (SVLCFA). Oral administration of “Lorenzo’s oil” (LO), a 4:1 mixture of glyceryl trioleate and glyceryl trierucate, normalizes the SVLCFA levels in plasma, but its clinical efficacy and the clinical indications for its use have been controversial for more than 15 years. 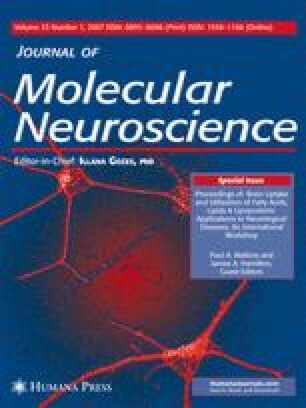 We review the biochemical effects of LO administration and the rationale for its use and present a current appraisal of its capacity to reduce the risk for the childhood cerebral phenotype when administered to asymptomatic boys and to slow progression of adrenomyeloneuropathy in patients without cerebral involvement. We also present current efforts to provide definitive evaluation of its clinical efficacy and discuss its possible role in the new therapeutic opportunities that will arise if newborn screening for X-ALD is validated and implemented. Dr. Hugo W. Moser is deceased.